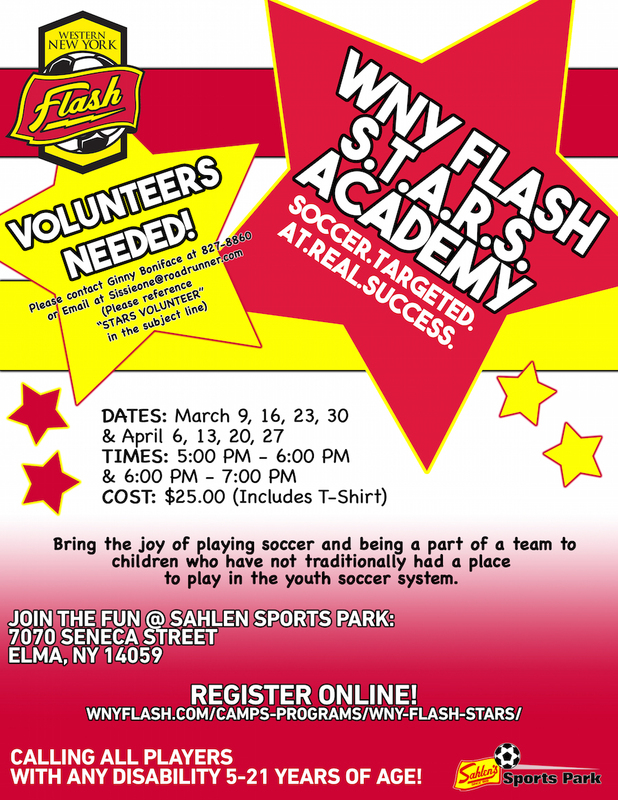 "Soccer Targeted At Real Success"
The WNY Flash Academy S.T.A.R.S. program is open to all players age 5 - 21, with ANY disability. If you are interested in having fun and playing soccer, please register today!